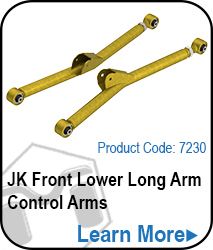 The Patented MetalCloak Lock-n-Load™ Replacement Control Arm for Radius Suspensions (metalcloakpatents.com). 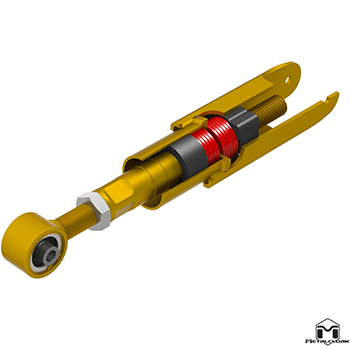 is precision engineered to solve the most common problems with radius arm suspensions. 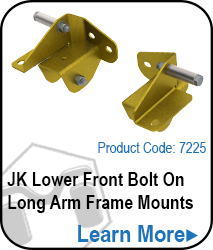 Designed to remove any stresses from bushings and welded brackets, the Lock-n-load lets your suspension move freely without bind when articulation is need. Allowing up to an inch and a half of movement, there is ZERO bound up energy in the suspension keeping forces from damaging bushings and bracketry. Made in the USA. 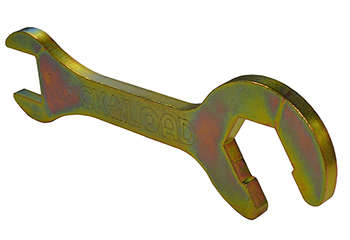 Lock-N-Load exclusively at MetalCloak. 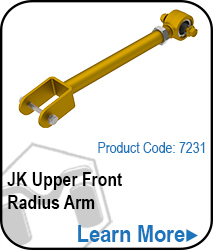 Note: If your radius arm set-up meets these parameters it will work whether you have a JK or a JK or some other custom build (though it has only been designed and tested with the JK in mind). Notice there is always compression and resistence. 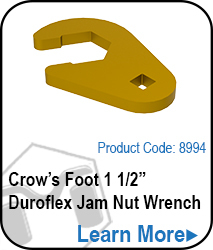 A: You'd have the key to the MetalCloak Control Arms, the Patented Duroflex Joint (metalcloakpatents.com).